The global cultured meat market study covers three scenarios, namely, optimistic, normal, and pessimistic, considering that the market sizing is futuristic. For the normal scenario, the cultured meat market is projected to reach USD 15.5 million by 2021 and USD 20.0 million by 2027, at a CAGR of 4.0%. The market is expected to be primarily driven by factors such as increasing meat consumption and continuous growth & innovation in alternative protein sources to meet current and future protein demand. Another growth factor is expected to be the increasing concerns about food safety and health, rising preference for antibiotic-free meat, and growing concerns over animal welfare. However, the high capital investment required to produce cultured meat and stringent regulatory hurdles are factors expected to restrict the growth of the cultured meat market in the long run. Cell culture sourced from different animals requires different study approaches to develop the meat, resulting in a high cost. The high price of cultured meat stands as one of the major limitations for the growth of the cultured meat market. Based on the source cell culture for cultured meat, the poultry meat segment is projected to grow at the highest rate. The presence of a number of developers and manufacturers working on poultry product development, easy availability of poultry meat, high consumption of poultry meat products, and preference for chicken and chicken products over red meat are some of the factors expected to drive the growth of the cultured meat sourced from poultry meat. The focus of consumers on preventive healthcare and nutrition value is also one of the factors driving the increasing demand for cultured meat, due to the fat content and a similar taste profile. These factors are expected to support the demand for poultry-sourced cultured meat. North America is projected to dominate the cultured meat market in 2021 and projected to grow at a steady rate over the next six years in term of revenue. The region is characterized by the significant amount of investment made and research conducted for the development of cultured meat. Factors such as growth in meat consumption, meat-based snacks, environmental sustainability, and awareness about the benefits of cultured meat over farmed meat in North America are expected to support the demand for cultured meat in the region. The US market is characterized by established manufacturers of cultured meat and a significant meat eating population; these factors support the growth of the cultured meat market. The report segments the cultured meat market on the basis of source, end use, and region. 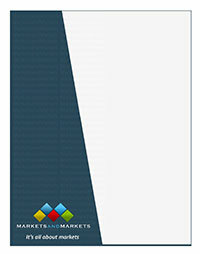 In terms of insights, this research report has focused on various levels of analyses?competitive landscape, end-use analysis, and company profiles, which together comprise and discuss the basic views on the emerging & high-growth segments of the cultured meat market, high-growth regions, countries, government initiatives, drivers, restraints, opportunity, and challenges.